Vivek Oberoi starrer PM Narendra Modi's trailer garners 18 million views in four days. PM Narendra Modi‘s trailer was released on March 20 and garnered a lot of mixed reviews from the audience. In just 24 hours, the trailer managed to receive 10 million views and now, it has garnered 18 million views on Youtube. Playing the titular role, actor Vivek Anand Oberoi essays Modi through various stages of his life. The trailer also included strong nationalist dialogues against Pakistan like, “I warn Pakistan, if they attack us again, I will cut off their hands. You have seen our sacrifice, now witness our revenge.” Another scene showed Vivek as Modi, personally supervising the response to the attack on the Akshardham temple in 2002. Lately, the film is under controversy after veteran lyricist Javed Akhtar claimed to have not penned down the lyrics of the film’s song after seeing his name in the credit list. Akhtar on Friday took to Twitter and expressed shock to see his name in the credits of the film’s trailer. “I am shocked to find my name on the poster of this film. Have not written any songs for it,” Akhtar tweeted along with the snapshot of the trailer’s video in which his name was mentioned among several other artistes in the lyrics category. Post that, producer Sandip Ssingh took to his Twitter to reveal that they have used old songs of Akhtar and wrote, “T-Series being the official music partner of our film…we have taken the songs ‘Ishwar Allah’* from the film ‘1947: Earth’ and the song ‘Suno gaur se duniya walon’ from the film ‘Dus’, thus we have given the due credits to respective lyricists Javed Sahab and Sameerji””. Akhtar’s wife, earlier today tweeted on the same and slammed the makers. “It is quite clear this was done with deliberate intentions to mislead public into believing that Javed Akhtar has written the songs for ‘PM Narendra Modi’ when the song ‘Ishwar allah tere jahan mein’ is from Deepa Mehta’s film ‘1947 Earth’,” she tweeted. The film will showcase the journey of Modi from his humble beginnings to his years as the Gujarat Chief Minister, to the landmark win in the 2014 general elections, and finally becoming the PM. PM Narendra Modi features Vivek Anand Oberoi who will be seen essaying the role of Modi. The film also features Darshan Kumaar, Boman Irani, Zarina Wahab and Barkha Bisht Sengupta in pivotal roles. 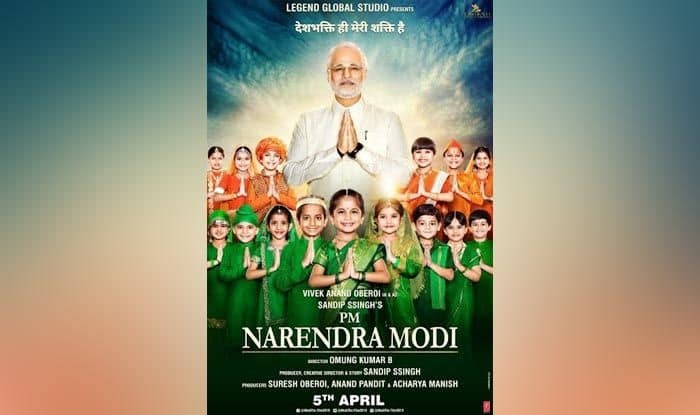 Produced by Suresh Oberoi, Anand Pandit, and Sandip Ssingh, PM Narendra Modi is all set to hit theatres on April 5.